RSU 29 Superintendent Ellen Halliday will be sticking around for at least the next four years as the school board and superintendent agreed to a one-year contract extension Monday. 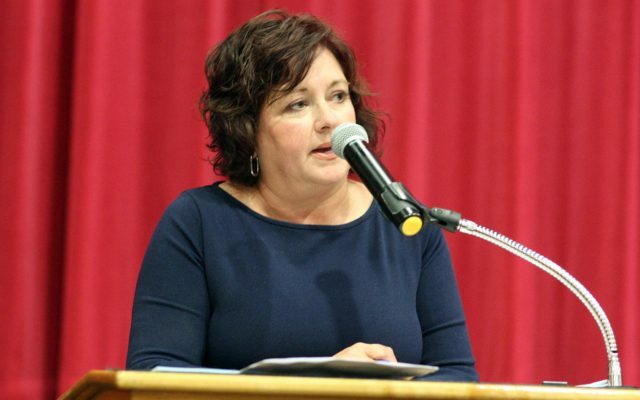 HOULTON, Maine — RSU 29 Superintendent Ellen Halliday will be sticking around for at least the next four years as the school board and superintendent agreed to a one-year contract extension Monday. Halliday is now under contract through the 2021-22 school year. Last year, Halliday was given a four-year contract with a starting salary of $111,400 beginning with the 2017-18 school year. Her new extension includes a 2 percent pay increase. RSU 29 includes Houlton, Littleton, Monticello and Hammond with a total enrollment of about 1,400.